For as long as he can remember, Tyler Hornby has been on a musical journey. He encountered jazz early on while growing up in Alberta, living in a house that doubled as a rehearsal space for his guitar-playing father, his bass-playing brother and big band singer grandmother. He started drumming at age 10, honed his artistry in high school big bands and experimental jazz combos, and has blossomed into one of the country’s most innovative and sought-after young drummers. 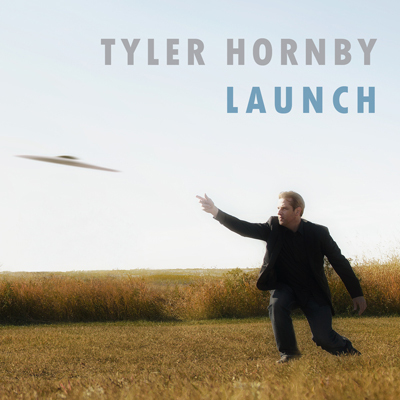 Hornby has also become a gifted composer by expanding his musical tastes, studying the craft with Grammy Award winning pianist Chip Stephens, and immersing himself in the work of other great players from all over the planet. His list of collaborators is wide and wealthy, including Bob Mintzer, Ingrid Jensen, Wycliffe Gordon, Frank Mantooth, Alain Caron, Randy Brecker, Eric Marienthal, Tom Harrell, Jiggs Whigham, Irvin Mayfield, James Carter, Brad Goode, Chip Stephens, Hugh Fraser, Tommy Banks, PJ Perry, Shelly Berg, Ralph Bowen, Maciek Grzywacz (with a 2007 Polish Music Award nomination for their collaboration), Maciej Sikala, Piotr Lemanczyk, Pat Bianchi, John Gunther, Ken Walker, Phil Dwyer, Mike Murley, David Braid, Joel Miller, Campbell Ryga. Hornby is also the drummer for Sillian & Young, he has served as composer and musical director on a handful of live productions, and he has developed clinics and workshops in Canada, Germany, Italy, Poland, the United States, and Venezuela. Hornby has performed at festivals, clubs and concerts in North America, South America and Europe, and has appeared on more than 30 recordings. His first solo album, a critically acclaimed exploration of post bop released in 2005 called Shadows of a Brighter Day, was selected for a National Jazz Compilation called Dig Your Roots. His newest record, A Road to Remember, is a testament to his continuing evolution as a musician, delving into the free-flowing textures of groove, swing and ECM jazz.